Loreal Paris has launched a new range of Lip Crayons called Glam Shine Balmy Gloss. 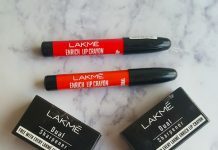 These are pencil shaped Lipsticks launched in six different shades but only three shades are available in India. Today I’m going to share my views on one of the shades that I bought during my Karwachauth shopping – Glam Shine Lychee Lust 911. 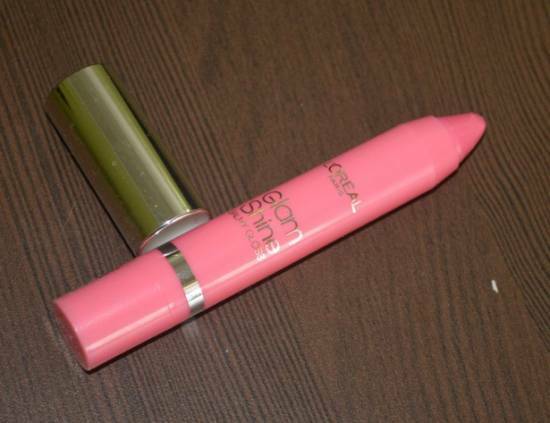 Packaging : It is about 3-inches long crayon pencil that has a twisting bottom for easy sliding of the bullet (lipstick). It has a sturdy silver cap and the product name is also written in silver on the body. The body is of the same color as the product. No sharpening is required, so less wastage of product. 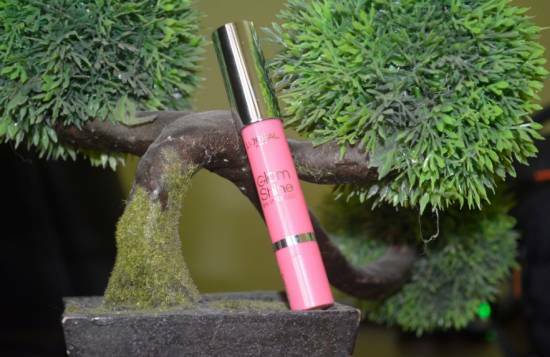 My Experience : It is a baby pink color balm that contains shimmer and has a soft pigmentation. 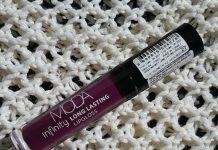 It has a creamy texture and it glides smoothly on the lips. It is moisturizing and does not have any fragrance. 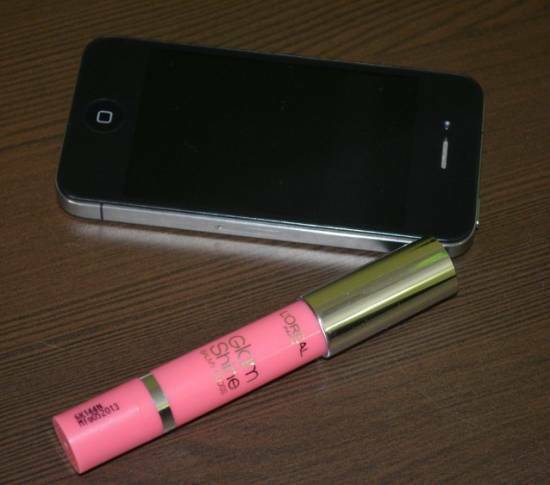 It has almost transparent color and imparts a glittery look with a sheer of pink on lips. This shade might not be a good choice for ladies with pigmented lips. It can be applied on bare lips, but I’m using it as a gloss over lipsticks of similar shades. It is not very long lasting. The moisture goes after 3-4 hours and lips are left with a hint of glitter on them. It neither bleeds out nor does it settles in the fine lines. This shade can be worn easily to college or office. Products Description : L’Oreal Paris introduces its first glossy crayon format for that looks after your lips. 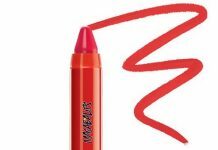 Balm and Gloss finally combined in a playful crayon format for mirror free application. Lips feel moisturized, look shiny with a sheer fresh looking color off.Innovation : Balm and gloss in one crayon format, Enriched with flower extracts, Not sticky, Ultra light feel. 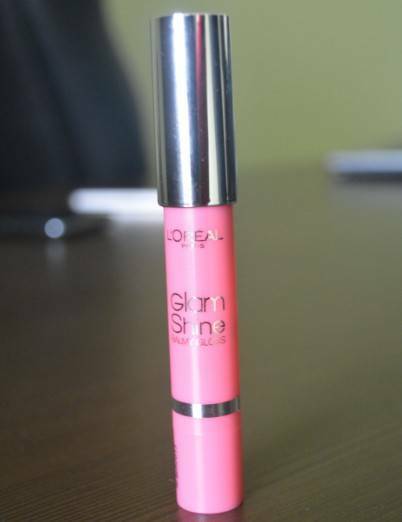 I want L’Oréal Glam Shine Lychee Lust 911 Lip Crayon.. it I don’t know how I am Oder this product please message me.